The 60″ wide radiant barrier house wrap covers a 10′ wall with just one seam! 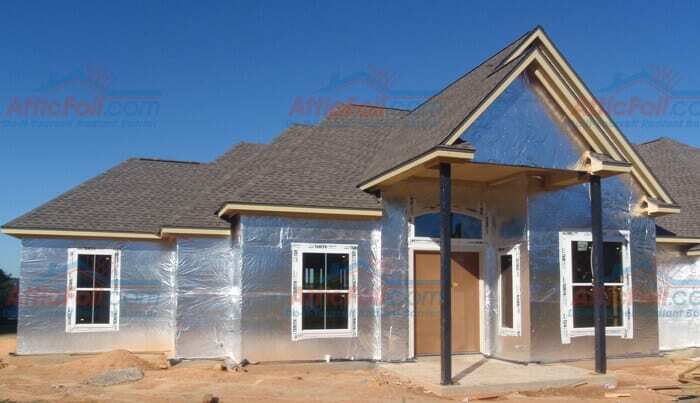 AtticFoil™ House Wrap can be used as an air barrier (not the same as a vapor barrier) and as a secondary drainage plane in older homes. It also creates a back-ventilated system that allows for maximum drying of the wall assembly. Replace Tyvek® with this product! The single-sided foil can also be used in roofing applications, under metal and tile roofing. Learn more here. This foil is NOT rated as a VAPOR barrier; you usually do NOT want a vapor barrier in attic applications. 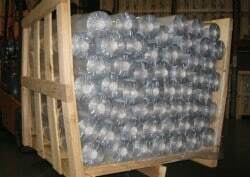 We can provide full crates of the 60" wide single-sided rolls; 1,000 square feet rolls come as 77 rolls (77,000 sq ft) in a crate. We offer same day freight shipping for orders placed Monday-Friday (excluding holidays) by NOON, CST. You can SAVE big on shipping charges when you buy crate quantities.